This story was updated on Sept. 10 at 3 p.m. ET. 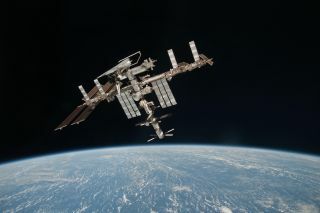 NASA has finalized a deal with a nonprofit group to run some science research on the American portions of the International Space Station. In July, the space agency chose the Center for the Advancement of Science in Space (CASIS) to manage some U.S. science efforts on the orbiting lab. The agreement between the two parties is now official, and it will pay CASIS up to $15 million per year, NASA announced today (Sept. 9). The American portions of the space station were designated a U.S. national laboratory in 2005; CASIS will manage this national laboratory going forward. But NASA will also continue to run its own extensive research efforts aboard the International Space Station, agency officials said. After 13 years of assembly, the $100 billion space stationis finally complete, and it should be operational until at least 2020. With at least another nine years of operations planned, NASA hopes to carry out a veritable bounty of scientific experiments in low-Earth orbit. The American portions of the space station were declared a United States national laboratory in 2005. NASA has been looking for an organization to manage research operations in the American sections since February. The space station is as long as a football field and typically houses six astronauts at any one time. Each spaceflyer generally lives aboard the orbiting lab for five or six months at a time, and the station has been continuously occupied for more than a decade. The amount of science that can be performed on the space station typically depends on its crew size. A six-person crew has more time in its schedule to perform scientific experiments in addition to normal daily station maintenance and repairs. NASA and its international partner agencies are discussing a plan to temporarily drop the crew size down to three people, or leave the station empty for a period, pending an investigation into a recent Russian rocket failure. Any drop in crew size or temporary suspension of crewed operations on the space station would interfere with onboard research, officials have said. CASIS will be based at the Space Life Sciences Laboratory at NASA's Kennedy Space Center in Florida, NASA officials said. This story was corrected to reflect that while CASIS will manage science programs for the station's U.S. national laboratory projects, NASA will continue its own science research efforts on the orbiting lab.